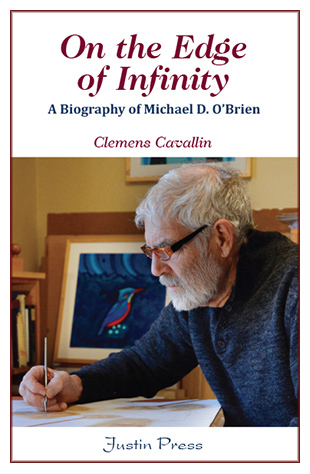 Clemens Cavallin provides us with a very intimate portrait of O’Brien as an artist, a writer, and a family man in the biography On The Edge of Infinity. Over the past century, most Western countries have produced great Catholic fiction writers. The UK may rightly pride itself on Evelyn Waugh, J.R.R. Tolkien and C.S. Lewis, the U.S. on Walker Percy and Flannery O’Connor, France on Georges Bernanos and Paul Claudel, Italy on Eugenio Corti, and so forth. Canada appeared until recently to be the unfortunate exception to this rule. But Canadians may perhaps now boast of one Catholic novelist of international repute: Michael O’Brien. At least that is the view of American philosopher Peter Kreeft, whose endorsement of On the Edge of Infinity, the first biography of O’Brien ever published, describes him as “the greatest living Catholic novelist”. This being said, two things distinguish O’Brien from other Catholic writers. First, he is also a well-known painter, whose works, mainly icons, are found in churches all over North America. Second, his career as a fiction writer was made possible thanks to a relatively small U.S. publisher who, in 1996, readily accepted to publish what became his best-known novel, Father Elijah. The book had previously been rejected by a slew of Canadian publishers for whom his work reflected a worldview of little interest to the reading public. This worldview, of course, was orthodox Catholicism. Readers of Canadian fiction are thus indebted to San Francisco-based Ignatius Press for having put O’Brien on the world literary map. His novels are now available in 12 languages and are better known in the U.S. and various European countries than in his home country. 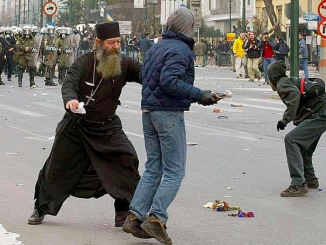 For example, Father Elijah sold more copies in the Czech Republic and in Croatia than in Canada. In Croatia, the novel even became an instant bestseller when it was published in 2002. Best known for his series of ten apocalyptic novels collectively titled Children of the Last Days, O’Brien has also written several other books and essays, many of which have been published by Justin Press, a relatively young Canadian publishing house focusing on works of Catholic culture and apologetics. Clemens Cavallin’s biography tells three stories, that of a painter of religious art, that of a Catholic novelist and that of a husband and father of six children constantly trying to make ends meet. 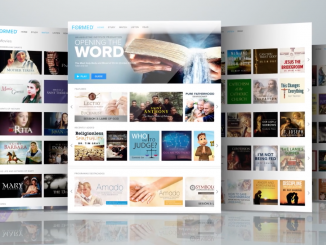 But there is a common thread running through these stories, and it is that of a Christian artist seeking to illustrate the beauty and love of God in a world that has largely chosen to reject Him. As Cavallin points out, the creativity of Michael O’Brien is founded on “his intense, mystical relation to God”. His spirituality, family life, art and imagination should not be seen as separate compartments, as they spring and are nourished from the same source – his Catholic faith. From the latter flow his novels, essays, paintings, family life and moral and political views. In a world marked by dissent and discord, O’Brien embodies unity of life. Over a five-year period, Cavallin spent numerous hours and days interviewing both O’Brien and his wife, and had continuous contact with them through email. He was also given access to both O’Brien’s diaries – notebooks stretching across forty-five years – and personal correspondence with various American and European writers. Thus Cavallin provides us with a very intimate portrait of O’Brien as an artist, a writer, and a family man. O’Brien’s whole life seems to be based on a similar pattern of emptiness and inspiration. His spiritual life, of which the reader gets more than a glimpse, has been marked by a series of stark contrasts. More than once, he has lived through nights of near despair and self-contempt followed by periods of intense feelings of peace and joy. His has truly been a life full of joys and sorrows, of happiness and hardship. After the departure from home, the plot mostly involves a series of misfortunes and sufferings that gradually destroys the little the protagonist carried with him or had managed to gain on the journey. 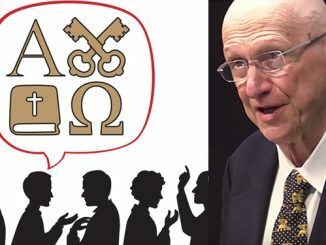 … This is, of course, the Christian Way of the Cross, the process of self-emptying, kenosis, but it is also compatible with a modern secular search for the true individual beneath the surface of social roles and masks. The authentic person is purified by trials and intense suffering, and at the end of the novel, reconciliation is offered. But it is not in the form of exaltation and success: mostly, the protagonist achieves peace of mind, and leaves this life with the expectation of eternal beatitude. While this biography cannot be considered as the definitive work on the life of Michael O’Brien, it certainly constitutes a fascinating introduction to it and should be of particular interest to anyone involved in arts, including the art of writing. One of its particular merits is that it depicts the tension experienced by a man seeking to live to the full a life of faith in a society increasingly hostile to our Judeo-Christian heritage. It tells us the story of a soul living on the edge of infinity while being fully immersed in the hurly-burly of modern life. Although authored by an academic, it is refreshingly non-pedantic, jargon-free and elegantly written. One finds in it a respect for the reader that is rather uncommon among modern literati. Richard Bastien is Vice-President of Justin Press and the director of the Catholic Civil Rights League for the Ottawa area. 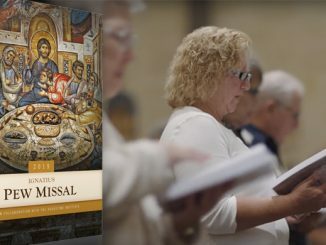 If Michael O’Brien’s ISLAND OF THE WORLD (a powerful literary work much more subtly Catholic than Fr. 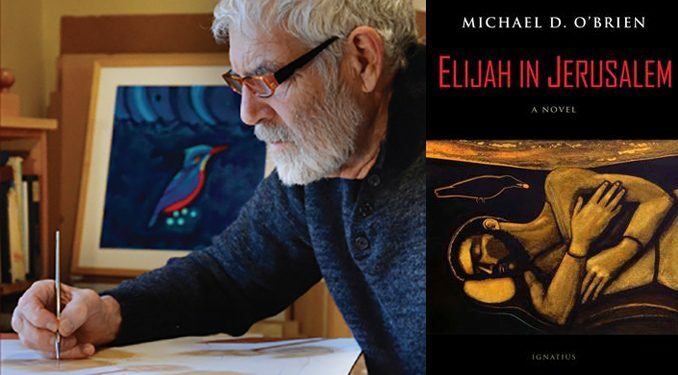 Elijah) had been initially published by one of our larger, more “prestigious” publishing companies, the novel might have already (however slowly) attained significant attention, commentary, recognition, and readership beyond what it’s actually attained to this point. Eventually, the cultural elites and their minions will have to deal with this novel. They will read start reading this book. When? Who knows. Why? Because with a work of art, when true beauty and the timeless truths are so powerfully presented as to be irresistible (almost violently irresistible) to the imagination– and so vividly contrasted (almost violently contrasted) to the evil in our world– such a work becomes a compelling, irresistible force of its own. Cry of Stone seems imbued with the spirit of St. Kateri Tekakwitha, though I don’t think she is mentioned explicitly in it. When I was reading it, I kept coming out to my wife to hug her. “But honey, what’s the matter?”, she said. I thoroughly enjoyed Michael’s Father Elijah’s novel but could not quite understand the ending. But then that’s me. Also, I thought it a bit naive of the priest to go along with the idea of the innocent “love letters’ that were eventually used against him. Could I be smarter than I think? I did not like Father Elijah as much as Sophia House, but Sophia House is one of my favorite books. I have read (and re-read) all of his works and I love them all. My favorite – the one I’m currently reading. ISLAND OF THE WORLD is the most influential book I have ever read. It is not ‘easy’ to read because of its intensity. That being said, it is a compelling book that one can read over and over. Faith, Hope and Charity are forcefully presented.